Australia will advance directly to the gold medal match as the top qualifier at the IWRF Asia Oceania Wheelchair Rugby Championships in Auckland. Qualifying rounds conclude later today with the Steelers already assured of top spot, but they haven’t had it all their own way at the four-team tournament. With the combatants facing off against each other twice, the Australians posted two commanding victories against New Zealand, one against Korea (with Korea forfeiting their second match) and a first-up win against Japan. But Japan bounced back to orchestrate a major upset in their second clash, a scare that will ensure complacency will not be an issue for the Steelers when they next meet. It now sets the stage for a cracking final, but not before world number three ranked Japan face New Zealand (ranked ninth), who will be gunning to cause a major upset of their own in the semi-final in front of their home crowd at ASB Stadium. And while Australian head coach Brad Dubberley described the Kiwis as a “dangerous” semi-final opponent for Japan, he is expecting a chance to exact revenge for the Steelers’ sole loss when they meet Japan in the gold medal match. 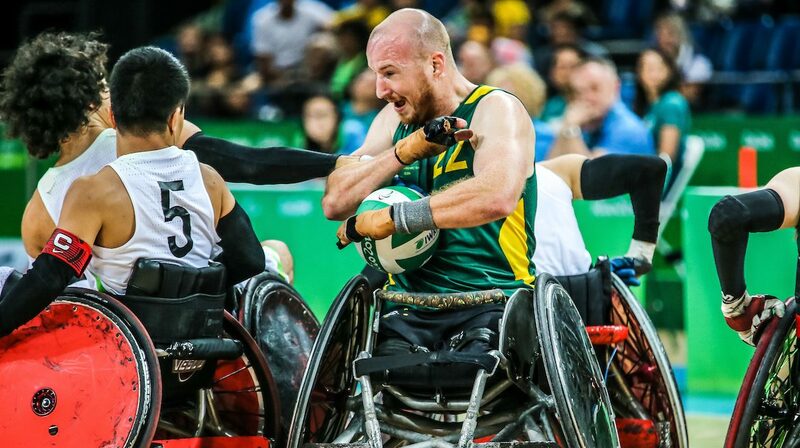 To add an extra element of intrigue to the semi-final, the winner secures their passage to next year’s IWRF World Championships in Sydney as the other Asia Oceania representative alongside Australia – the defending Paralympic and World Champions. Dubberley said Japan played a mistake-free brand of rugby in their second clash which proved the difference. Should they progress, he expects a similar approach from his rivals with the gold medal on the line. “They forced us to make some silly mistakes and push some passes that weren’t on, but we will do our homework, review our footage from the game and make sure we’re prepared for the final,” Dubberley said. Japan and New Zealand will clash in the semi-final at Auckland’s ASB Stadium on Wednesday morning (7:30am AEST), before the winner progresses to the gold medal match against the reigning Paralympic and World Champions at 2pm (AEST).